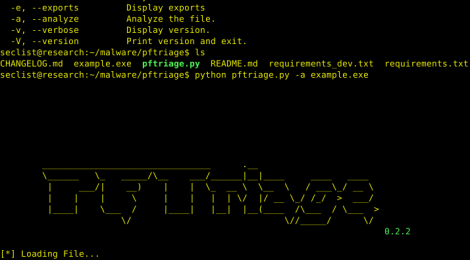 Browse: Home / pftriage is a tool to help analyze files during malware triage. Note: On Mac – Apple has implemented their own version of the file command. However, libmagic can be installed using homebrew. ← libbde – Library and tools to access the BitLocker Drive Encryption (BDE) encrypted volumes.